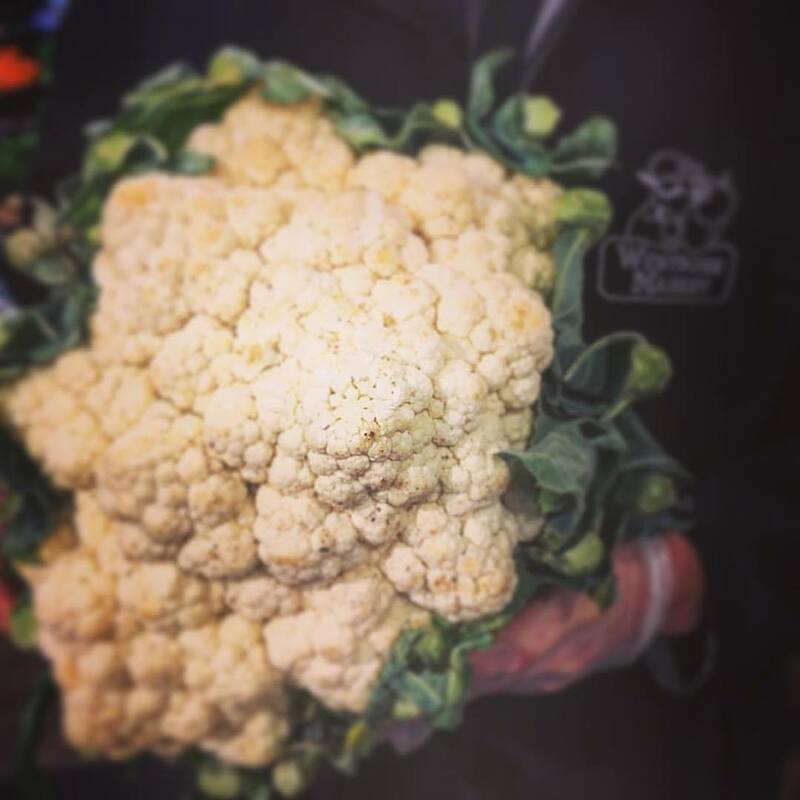 Cauliflower is a popular veggie that is likely to be featured at many Thanksgiving dinners. Guest List Set, Time For Side Dishes! UNITED STATES—As we speak America, Thanksgiving is a mere 2 weeks away. Yes, I know the feeling it just seemed like we were talking about Halloween. It’s amazing how fast time flies sometimes. Last week we discussed a bit about getting things in order for those planning to host Thanksgiving dinner. Now, that you’ve decided to cook, the next question left to be answered beyond your guest list, which has been prepped is: what are you cooking? Yes, it’s time to start thinking about what dishes will be the talk of your festive feast. Let me put out perhaps the biggest rule that so many people fail to acknowledge: if you’ve never cooked it, now is NOT the time to experiment. So many people like to experiment or to craft a dish that they saw on TV. That is a big mistake because if the dish does NOT turn out successful you have guests that will be talking about that bad dish, not for days, not for weeks, not for months, but years to come. Trust me I know, because I recall when someone decided to utilize low-fat milk and sour cream for macaroni and cheese. Let’s just say that person hasn’t heard the last of that Thanksgiving dish for years since it was made. Stick to what you know and work to continue to finesse it to impress your guests. If you plan to add flare to your signature dish, do it on your own timing not on Thanksgiving. With that rant, it’s time to think about the side dishes, I’m saving the main course for a later date, and for good reason. The turkey is no easy feat and that dish alone requires a column by itself, as well as something like ham, duck or lamb. So let’s jump right into it with the dish I adore: dressing or as some people call it stuffing. Some might say is there a difference between the two? Yes, stuffing is placed in the actual bird, whereas, dressing is cooked outside of the turkey and in an actual casserole dish. In my household and for our family tradition, we make dressing. I think it’s a staple that you have to have at the dinner table, without it everyone will be asking where is it; you don’t want that to transpire. The key is to ensure that dressing stay moist, so don’t overcook it, but at the same time ensure you utilize the flavors of fall and chicken stock or vegetable stock if that is your cup of tea is vital! Mac n’ cheese is a must and so many people craft it a ton (I mean a ton of ways), but it’s all about the cheese! However, I’d like to offer a few tips: make sure you use a cheese that melts, that is key! In addition, the noodle needs to be a vessel that can hold or absorb the cheese. Don’t skimp on the use of butter because it brings a level of decadence to the dish. While not good for your health overall, a bit here and there goes a long way America. I have a killer recipe, but I’m not ready to share it with the rest of the world just yet. Veggies, this tends to be the dish so many people have trouble with. Veggies matter and I think having at least 3-4 veggie-centered dishes is vital for any feast. Many love the string bean casserole or string beans in general. I have to agree because there is nothing like a crisp, green bean at the dinner table. However, there are SO MANY other veggies to play with. You have Brussel Sprouts, cabbage, butternut squash, beets, cauliflower, greens (there are various kinds people), spinach, fennel, broccoli, root vegetables, squash, the list goes on and on. Here’s the thing about veggies, it’s all about taste. Stick with the staples, but don’t be afraid to play a little here and there to deliver dishes to accommodate those guests who might be vegetarians. Let’s talk about the potato because this is another staple. There are those who craft mashed potatoes and those who roast potatoes. Smashed potatoes are not a staple at the family table, but if I were it would be Yukon Gold. Why? They have a velvety taste and are great with butter, bacon, heavy cream, salt and pepper. Simple, but the taste is killer. I used to be that person who stuck only with Russet or Idaho potatoes, but I’m not a fan of not on Yukon Gold, but redskin as well. The key with any smashed potato is to ensure that you keep the dish warm. The moment they cool, is the moment that you run into major trouble. The sweet potato is the one that makes its big return for the holidays. Sweet potato casserole is a must for many, but in our household it’s all about Candied Yams. Yes, the Yam is not a sweet potato people. Yams are much bigger in size, 10x harder to cut, and have a bit of a sweeter taste that you don’t get naturally with the sweet potato. Candied Yams are like a dessert because if done right they are sweet to the core and I mean sweet in a the best possible way. Now, I know what so many of you are thinking, what about desserts? I’ve save that column for next week when we talk about the various cuts of meat that can be cooked. Let’s finish the week talking about cranberry sauce. I will admit that I still love the cranberry sauce out of the can, but crafting it from scratch with fresh cranberries, orange and lemon zest and sugar is a way to craft a dish that you will never forget. So I’ve given you plenty to think about, was there anything I forgot?